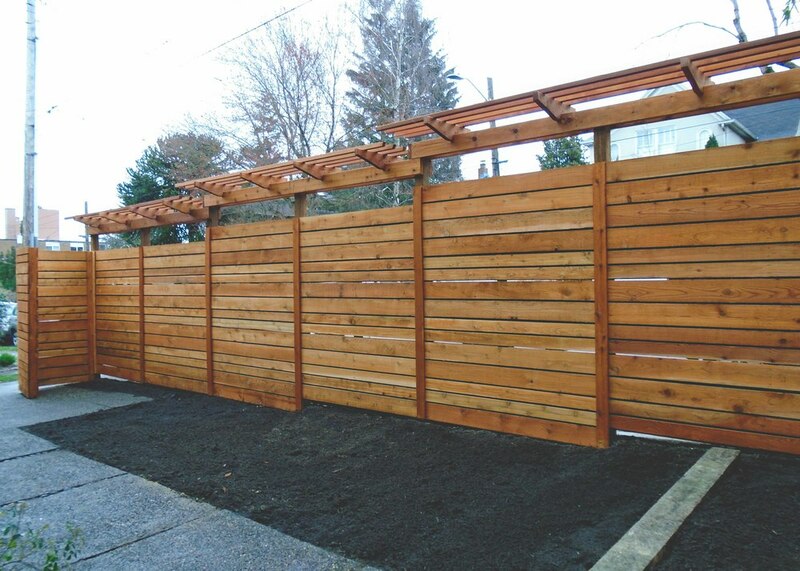 This custom cedar fence has a modern horizontal layout with contrasting vertical fence panels at posts and at gates. 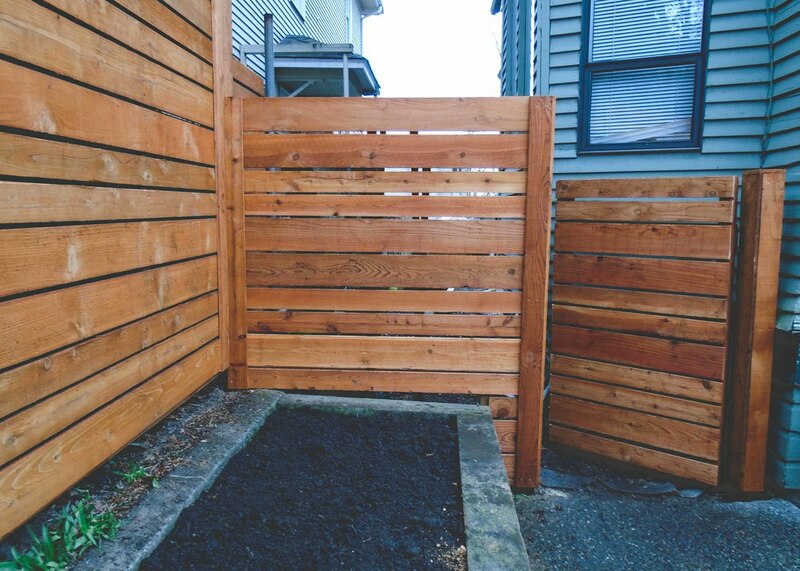 The fence board pattern varies in lumber width to soften the horizontal lines and create a more rustic feel. An offset fence board pattern on interior side of north and east fence helps to reflect noise from the adjacent street. The fence is topped with a trellis to support grape vines.